Ticket King is giving away a pair of Brewers playoff tickets for home game two of the NLCS this Monday night. The rules are simple: follow us on our Ticket King Twitter page, tweet at us, or like our Ticket King Facebook page. We will announce the winner on our Ticket King Twitter page and company blog at 7pm tomorrow night, right after the Brewers versus Cardinals game. This is your chance to see the Brewers for free! The winner will need to pick up their tickets at our Ticket King office on Monday, or at our Ticket King vehicle at Rounding Third. 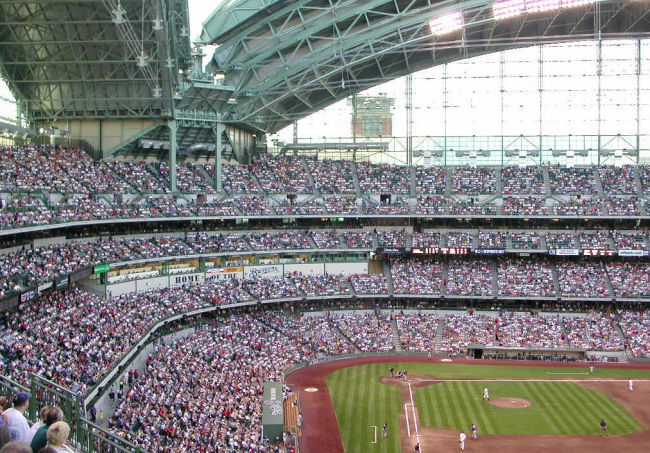 Keep in mind that we have a limited number of Brewers parking passes for the playoff games at Miller Park. With the weather looking perfect for tailgaters, these passes will go fast.